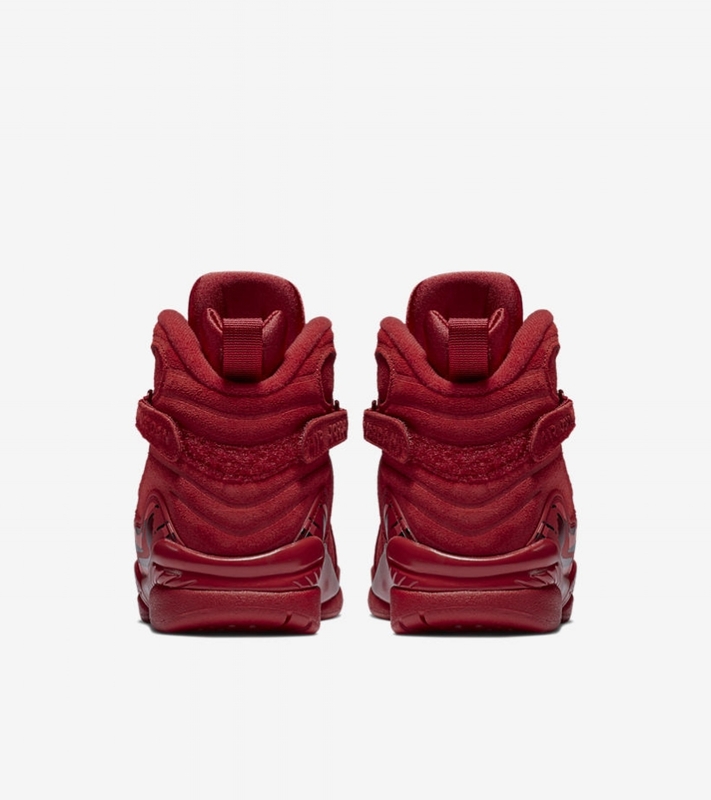 While Jordan Brand is paying homage to the "Season of Her", we are contemplating our Valentine's moves for next week. If you are like us, you're most likely thinking about what sneakers to rock (LOL). The Jumpman is thinking about you on the holiday of love because this week a fire red Air Jordan is coming your way. The Air Jordan retro 8 is here to make a V-day statement. 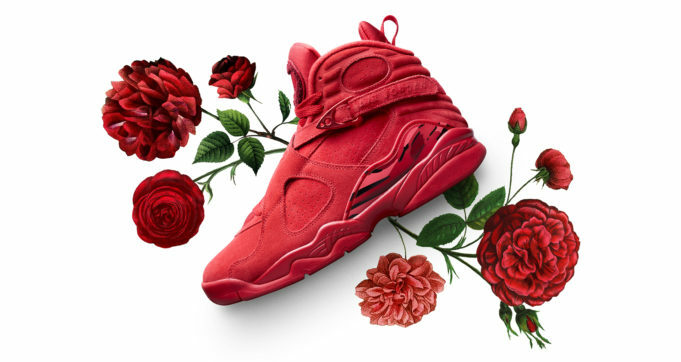 The classic sneaker has been dipped in a gym red/fire red colorway symbolic of L-O-V-E. Valentine's Day details hit the Air Jordan 8 with "Loves Me"/"Loves Me Not" messages on the inner straps. The insoles also have a bouquet of roses to add the right festive touch. Black detailing hits the heel counter giving a small contrast to the full red, suede upper. This Air Jordan retro 8 "Valentine's Day" is a WMNS exclusive that hits the SNKRS APP this Friday for $190 USD, and I believe this one will sell pretty quickly. Set your reminders to SHOP THE SNEAKS below via our button. The release is said to have special packaging with a Jordan Brand Valentine's Day card. Sweet! Cop or Can: The Air Jordan 1 Meets Couture? Check Out the Upcoming WMNS Air Jordan 4 NRG "Hot Punch"